The F-TYPE, Jaguar's all-new aluminium two-seater sports car, will make its global public debut in production form at the Paris Motor Show on 29th September. 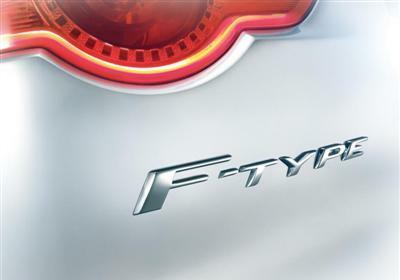 Adrian Hallmark, Global Brand Director, Jaguar Cars, said: "The unveiling of the F-TYPE in Paris will be a truly significant day in Jaguar's history as it will mark the company's return to the sports car market, a market it originally helped to create." "As its sporting forebears did in their era, the F-TYPE will break new ground by delivering stunning sports car performance while vividly demonstrating Jaguar's cutting-edge engineering technologies and world-class design excellence. The next step in Jaguar's sporting bloodline is about to become reality." The Jaguar F-TYPE will be launched as a convertible with a choice of three petrol engines: 340PS and 380PS versions of Jaguar's all-new 3.0-litre supercharged V6, and a new derivative of its existing supercharged 5.0-litre V8. All will drive the rear wheels through an eight-speed transmission and will be equipped with Stop/Start technology. Following the F-TYPE's 'camouflaged' public drive at the Goodwood Festival of Speed in June of this year, testing of the final verification prototypes has continued in some of the harshest environments in the world. As its name suggests, this test programme is designed to verify the staggering amount of design work that was carried out by Jaguar's engineers in the 'virtual world', a process in which the company is an industry leader. More than half-a-million separate F-TYPE design analyses were carried out comprising 10-million CPU hours of processing, making more than 300TB of data. Had that same amount of initial design analysis been completed on physical cars, the number of prototype F-TYPEs built would have filled the majority of the UK's motorway network bumper-to-bumper. The result of all that 'virtual' design work is that Jaguar's engineers are currently concentrating on honing the performance of the physical verification prototypes, to ensure the production F-TYPE delivers truly focused sports car driving reward. Said Ian Hoban, Jaguar's Vehicle Line Director: "When you are working on a Jaguar sports car the expectations of the world are huge. We're really pleased how the attributes have translated from the virtual simulation work we've done into the physical world." "Now, we're refining and adding those last few percentage points - that true element of honing which the Jaguar test team are delivering - which will turn a great sports car into an exceptional one."